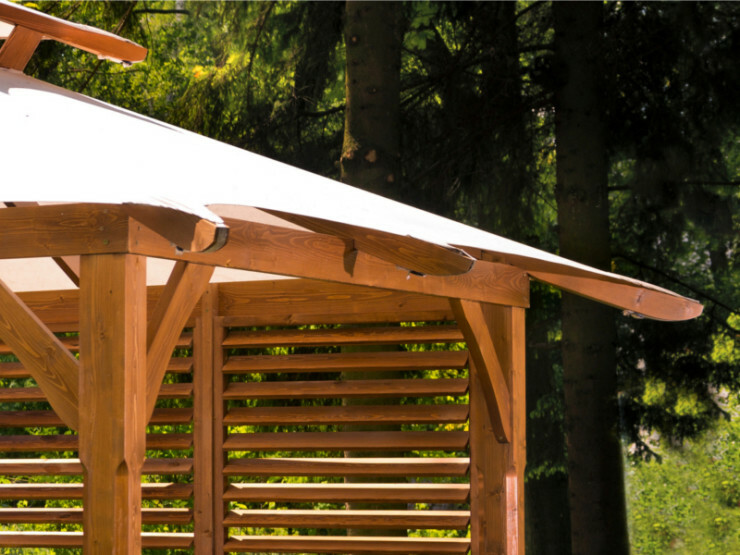 Looking for some shade in your garden? The Waikiki Canopy with Canvasis a perfect choice. 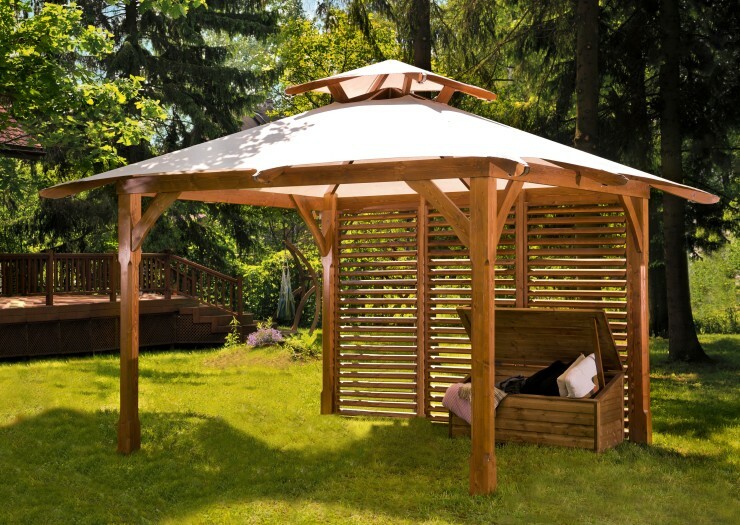 This gazebo is one of our most popular garden canopies with traditional english styling, curved elements and stop chamfered 120 x 120mm (5″) posts.